Hi! 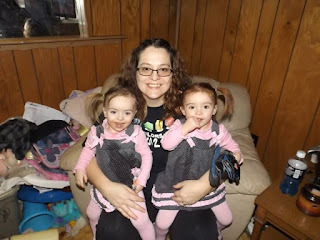 My name is Tammy DeShaw and I am the owner of the blog, The Owl Teacher. I began teaching in 2004 and have been teaching ever since from grades 3rd to 5th. I have a bachelor’s in Science and have nearly completed my masters in differentiation. I have a wonderful and supportive husband, a 17 year old freshman college student, a 14 year old that is soon to be taking driver’s education, and twin toddlers! Life is definitely interesting and BUSY at my house! I love my family very much and spend each day trying to live for God. My other hobbies include scrap booking, drawing, reading, and just having fun. One thing you won’t see me doing is cooking. I absolutely cannot stand to be in the kitchen. I’d rather have a root canal. However, I will bake my traditional sugar cookies every year for Christmas, despite my desire not to be in the kitchen. I love to create lessons that are hands on and fun for students. The reason I create these types of lessons is because I strongly want students to not only learn, but become people who are passionate about learning. There is so much information out there to explore. I also enjoy spending time with children because they have such creativity and imaginations- something I fear a lot of adults lose with the normal day to day activities. My current favorite TpT Product is my Math Workshop Units. I originally started as a seller of science products. One day I wrote a blog series related to Math Workshop and had many requests for actual unit lesson plans. I wasn’t sure I wanted to do it at first, because I was still trying to find myself as a TpT seller. Then I felt a leading by God to give it a try and I began working on it. I am absolutely in love with my finished product because I feel it is going to be helpful to anyone who is just trying out math workshop in their classroom. My lessons are scripted out (though it is not necessary to follow them directly) and offer warm ups, mini-lessons, activities for independent math time, and closings. This is a great opportunity for them to see how it works and focus on the more important things – such as getting each child where he or she needs to be academically. If someone wanted to become a seller at TpT, I would first congratulate them! It’s a great first step! Then I would recommend highly to not compare themselves to other sellers and to remember that each person’s journey is slow and different. I would also advise him or her to do their best work that he or she enjoys, as that is what matters most. I have only been working with TpT for a little over a year. At the moment, my earnings have been going toward my bills. Good ole’ college loans. Eventually, I’d like to earn enough to buy a house, help pay my loans (and now my daughter’s) off and take a trip to Israel to see the Holy Land. I like the community feel and resources that are provided by TBOTEMC. It’s definitely a value!